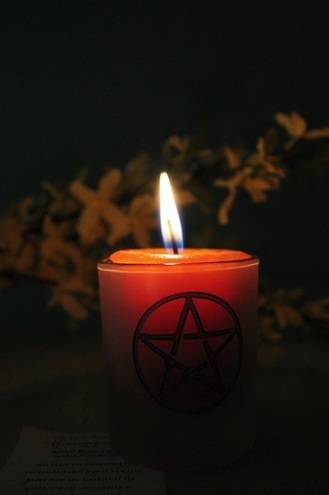 Email Tarot Readings with The Little Witch are available to anyone in the world with an email address! Email readings are set up either through my Facebook page or though the PayPal button below. In Canadian Dollars. Email readings are just as accurate as in person salon sessions. If you are ready for your personalized spread, click through the PayPal button below. When I receive confirmation of your payment, I will send you an email for you to reply to with your question. If you have connected with me at Facebook, and prefer to have your reading sent to that inbox, just let me know at Facebook with the email you used at PayPal in the message. 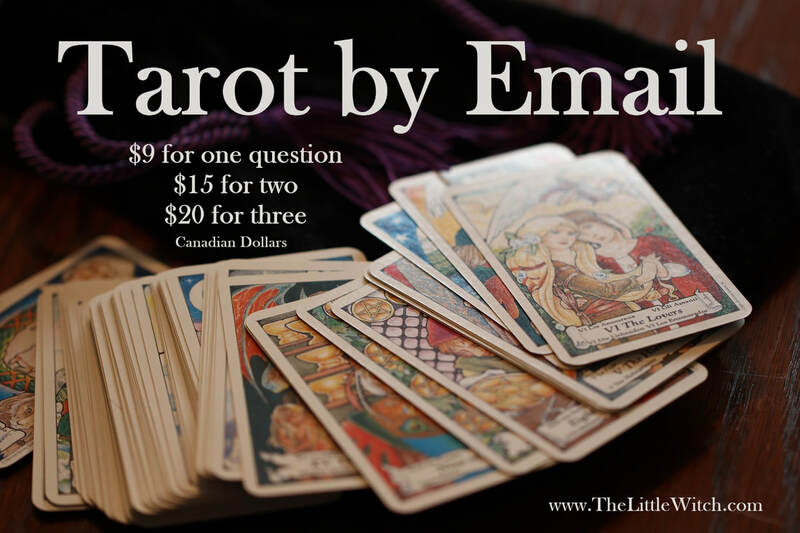 How Do I Do an Email Tarot Reading? When I am ready to complete an email read, I set up a small table that I pull up next to my PC. I sit and do the spread right beside the computer, with your email open. I only open your question email when I am ready to sit and complete the email read! I will sit quietly, and close my eyes so I feel us sitting together. I also will feel and hear messages begin to come through. Often my email are typed with my eyes closed, as I interpret the information coming through for you. Over messaging, I'll often get spirit guide messages for you. Sometimes it's my guides talking to me, and sometimes it's YOUR guides, who are feeding me the messages that they have been trying to get through to you, but perhaps you have been unable to receive or hear. Each answer to your questions will be at least 250 words long, but often longer.